[0:35] <MikeRL> I know that model needs 5.1V. [0:43] <ironpillow> hi all, I did `sudo shutdown -h now` and now my Pi is not turning on :( Any advice? [0:45] <MikeRL> Do 5V battery packs work with the 3b+? I imagine there may be issues since it's 5.1V. [0:45] <MikeRL> And I haven't had much luck finding something that's 5.1V to power it. [0:45] <Habbie> ironpillow, that's a normal way to shutdown - what do you mean 'not turning on'? [0:52] <ironpillow> I tried re-formatting the SD card and writing new raspbian on it. Still no use. [0:58] <Habbie> do you have hdmi connected? [0:58] <ironpillow> Is there a way for some sort of "reset"
[2:52] <Jonno_FTW> how much should a 4g module cost for a rpi3? [2:57] <Habbie> what about monthly cost? [2:57] <Habbie> Jonno_FTW, is that hard? [3:04] <MikeRL> Anyone know of how to switch display outputs on a Pi 3B+? I have the official touchscreen display and HDMI to a TV. [3:05] <MikeRL> I tried powering off the Pi and connecting to the TV first and all I got was a blank black backlit screen. [5:30] <gargantua> hi can someone please link me to a systemd distro for my raspberry pi 2 please? [5:32] <toastintheshell> do you want something else without X? [6:03] <friendofafriend> Don't forget OpenWRT, no systemd there. [6:16] <toastintheshell> yeah, i mean a bunch of arm distros seem to prefer no sysd, mostly embedded applications, gargantua what sort of purpose are you putting this pi to? [14:35] <subvhome> Hey everyone. I flashed fullpageos onto my raspberry pi.. for some reason config.txt won't honor the display_rotate= line. Anyone have trouble with this before? [14:37] <Khaytsus> subvhome: Never heard of it, do they have a support channel? [14:40] <MikeRL> Anyone know if VLC 4.0 will work on the Pi 3b+? [14:41] <gordonDrogon> then I think it's not possible, but further searching would confirn. [14:41] <MikeRL> The new VLC requires OpenGL. I cannot get Raspbian to boot and show a display with the experimental OpenGL driver enabled. [14:42] <shiftplusone> what version is new vlc? You mean something newer than what's in the repos? [14:43] <gordonDrogon> I don't think it's anything to do with /boot being universal or not, purely a function of the hardware/firmware. [14:43] <MikeRL> Yeah. V4.0 which is in development. [14:43] <shiftplusone> ah, no haven't tried it. I'd be surprised if it actually required opengl, since that doesn't make sense. [14:44] <MikeRL> "Meanwhile, Linux users will need OpenGL support to use VLC." [14:45] <gordonDrogon> subvhome, although some searching suggests that display_rotate=3 might do it. I've never tried though. [14:46] <shiftplusone> Yup, I'm surprised. I doubt that will be the case in the end, but let's go with it. Are you saying the experimental driver doesn't work at all for you? Stock raspbian (not lite) install with the driver enabled through raspi-config and it doesn't work? [14:47] <MikeRL> Nope. At least not with the official touchscreen display. [14:48] <MikeRL> I had to hold shift at boot and eliminate some lines from config.txt. [14:48] <MikeRL> Err a line. [14:49] <MikeRL> I would file a report if I knew more and could log it. [14:50] <shiftplusone> full or fake kms? [14:51] <MikeRL> That's what I got. [14:52] <shiftplusone> tried fake kms? [14:52] <MikeRL> Are you using the official 7" touchscreen display? [14:52] <MikeRL> I wonder if fake KMS would work with VLC 4.0. [14:53] <shiftplusone> yes, official 7" display. I guess the driver doesn't currently support it with full kms. Booted fine with fake kms. [14:54] <shiftplusone> it shouldn't make a difference. It just means it uses dispmanx as a backend through the firmware rather than full arm-only kms. [14:55] <MikeRL> So you're saying fake KMS should get VLC to work? [14:55] <shiftplusone> Without having tried it, I see no reason why it would make a difference in the case of VLC. [14:55] <MikeRL> OK. I'll enable fake KMS. [14:56] <MikeRL> I'll reboot cause I'm typing this on the Pi. [14:59] <MikeRL> Back. Fake driver works. [15:00] <MikeRL> Maybe I can file a bug? [15:05] <shiftplusone> I don't think there's a need. Eric (the guy who's working on all of that) already has a huge todo list and I'm sure DSI output with full KMS is on there, if it's not done already in newer versions of the kernel. [15:06] <shiftplusone> I recently saw a comment about backporting vc4 patches from kernel 5.0 being something we intend to do. But I don't know whether full kms dsi support is already there. [15:18] <MikeRL> Sorry was busy for some minutes. [15:18] <MikeRL> Sounds like the poor guy needs more help. [15:19] <MikeRL> How is Raspbian doing with donations? [15:19] <MikeRL> Or is it a manpower problem? [15:19] <shiftplusone> This isn't a Raspbian things, it's a linux kernel and mesa thing. [15:19] <shiftplusone> He's paid by Broadcom for his work. [15:20] <MikeRL> OK so money isn't an issue. [15:21] <MikeRL> I aslo wonder when we'll see Firefox 60 ESR in Raspbian. [15:22] <MikeRL> 52 is EOL. I use Vivaldi for browsing on the Pi. It's surprisingly well put together. [15:22] <shiftplusone> drivers and so on. There's just a lot to do. [15:23] <shiftplusone> I see firefox 60.4 in Buster. [15:31] <MikeRL> Can't wait till we get buster. [15:32] <shiftplusone> actually, I see debian is already on 60, so the issue is something else, sorry. [15:32] <shiftplusone> IIRC, it's something to do with rust. [15:34] <DanielTheFox> "Foxes are harmless, they become harmful if you misuse them. Actually, this applies for literally everything. The thing is: what is 'misusing'?" [15:36] <MikeRL> So switching to sid would do no good? [15:37] <DanielTheFox> is that system a critical system? [15:37] <MikeRL> an irc bouncer. [15:38] <MikeRL> I have more micro sd cards lying around. [15:38] <shiftplusone> I'm finding buster pretty stable, but archive.raspberrypi.org buster packages aren't public yet, since it's all WIP. Porting a handful of packages across a day. [15:40] <MikeRL> Well yeah same with Chromium or any other modern browser on the Pi. [15:40] <MikeRL> Can't overdo the extensions or open too many tabs. [15:41] <MikeRL> Vivaldi idles to 0% when doing nothing. [15:42] <MikeRL> Vivaldi uses like 200mb RAM. [15:43] <shiftplusone> so vivaldi and chromium are fairly comparable there. Except our version of chromium is old, but does HW accelerated video. Not sure if vivaldi tries to. [15:43] <MikeRL> How can I check if Vivaldi does hw accelerated video? [15:43] <MikeRL> I have h264ify installed. [15:44] <MikeRL> No is there a way I can check in the browser somewhere. [15:45] <MikeRL> Seems to lag at 1080p. [15:45] <shiftplusone> not in any reliable way that I know of. [15:47] <shiftplusone> Once we stop the churn on Buster for our packages, I think I'll make them public for testing, so it should be possible to upgrade to buster without having to jump through hoops soon. [15:49] <MikeRL> I will gladly test it once available. [15:49] <MikeRL> Is there any way I can be easily notified? [15:51] <shiftplusone> No, it will probably be on the down low to avoid people thinking it's supported in some way, upgrading, breaking their system and hurling abuse our way. [15:51] <MikeRL> I will test it on my secondary micro sd card dedicated for the Pi. [15:52] <MikeRL> When should I check back? [15:52] <MikeRL> A week or two? A month or two? [15:53] <shiftplusone> No idea, sorry. More in the months region I suspect. 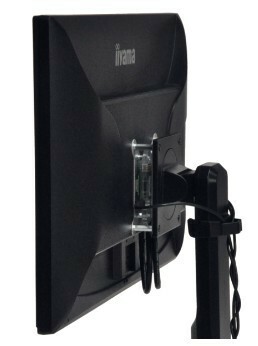 [16:48] <sheldor_the_conq> Hi, I've got an RaspberryPi Model B1 and a iiyama screen, i'd like to put it behind the screen using the VESA connection. What support/model can i buy ? [16:52] <sheldor_the_conq> i'v found Picano, does it exists other version ? [17:53] <VladTheImplier> Hey all! I have a gpio expander running. pigs works awesome! Now I wanna use pigs C interface, but it fails completly. I do gpioInitilise(), but it returns with error "initPeripherals: mmap gpio failed", even though I also set gpioCfgNetAddr(). How do I get pigpio C interface going with Gpio expander? Can someone help? [17:55] <VladTheImplier> shiftplusone: Sound awesome! how do I do that? [17:59] <VladTheImplier> Ahh hell. I thought the pigs C interface abstracted that :[ Alternativly: how else can I control my GPIO's in a C program of a gpioexpander? [18:00] <VladTheImplier> shiftplusone: Is there another C library that allows GPIO support, without having to fight through pig's source code? [18:01] <shiftplusone> It's not that bad. You open the socket and send commands through it. It's just IO after that. [18:01] <shiftplusone> gordonDrogon: I seem to recall you doing something similar for wiringPi? [18:04] <shiftplusone> That's on the server side, isn't it? [18:05] <VladTheImplier> shiftplusone: arright, then I missunderstood that command when reading the doc. Is there some other way of controlling GPIO's? [18:07] <VladTheImplier> DanielTheFox: How can I read a remote GPIO pin there? Can you link a ressource? [18:07] <shiftplusone> aside from maybe wiringpi (not 100% sure), I can't think of any C library that abstracts the socket away for you. [18:08] <shiftplusone> skimming through wiringpi's documentation, I don't see it. [18:09] <shiftplusone> Python is not an option? [18:09] <VladTheImplier> ok, so copy pasting pgipio's source code is the way to go. Never worked with sockets directly. Guess this is the day to become a man. [18:09] <shiftplusone> it's like working with a file, but you open it differently. [18:10] <VladTheImplier> shiftplusone: Not really, supposed to integrate into another C program. I saw on the GPIO expander tutorial how easy it is, but calling python (or system calling pigs) is incredibly sloppy. [18:10] <VladTheImplier> shuftplusone: Thanks for the encouraging words! [18:12] <shiftplusone> I've just noticed pigs does it a bit differently. I seem to recall that you can open it and get a fd, and then just use read/write with it. But there also seems to be send, recv, so it's a bit more abstracted away. [18:33] <VladTheImplier> DanielTheFox: What do you mean? [18:36] <gordonDrogon> Hi. Yes, wiringPi has a network layer. Can do gpio from one Linux computer to another. [18:37] <gordonDrogon> however there is no documentation for it as I developed it for a client a while back, then no-one asked me for it, so I left it alone. It works, and it's all there and I know of one person using it. [18:38] <gordonDrogon> VladTheImplier, you'd need to get the source code https://git.drogon.net/ and compile it locally, then run the gpio daemon on the Pi, then any linux host anywhere in the world can talk to it with e.g. digitalWrite(), pinMode(), etc. [18:43] <VladTheImplier> gordonDrogon: Thanks for the reference! I succesfully pressed Ctrl+c Ctrl+v and deleted half the code from pigs.c, makes me feel truly dirty inside. But it's a great learning experince to do sockets. So I was quicker on that one. Will take the time to look at both though. Looks like there is no standard library to do usb gpioexpander in C after all. [18:47] <gordonDrogon> pigs would appear to be standard. [18:48] <gordonDrogon> but when you say gpioexapnder are you talking about a PiZero usb'd to an ordinary PC? [18:49] <gordonDrogon> ok, I know nothing about that scenario. I've not used it. [18:51] <Fulgen> VladTheImplier: have you read https://www.raspberrypi.org/magpi/pi-zero-gpio-expander/? [18:52] <VladTheImplier> Fulgen: Yeah, more than 10 times. Already fought through dodgy USB errors and had to get PCI to USB card, because I found the one case where the PI's USB controller causes errors and shutsdown the Desktop PC's USB controller. [18:54] <VladTheImplier> gordonDrogon: Soooo many firmware bugs. Had to solder Reset pins, because Lan booting is broken on all PI's if their booting call is not answered within the first 4 tries. Fulgen: No, there are known firmware bugs with all the PI's. Until I cried on github about it and some dev explained that to me I had no idea. [19:01] <gordonDrogon> VladTheImplier, interesting to hear, however usb/lan booting is not a use-case for me, but I'm sure the information may help others. [19:07] <shiftplusone> A while back I bought a pack of ~100 generic USB card readers for 20 pounds.... I got what I paid for. [23:45] <Mibix> is there something else i can use other thatn win 32 disk imager to make a backup of my sdcard? [23:49] <Mibix> etcher can only write?